Frank Bruno is a full time Realtor® with Keller Williams Realty-Sunset Strip office. 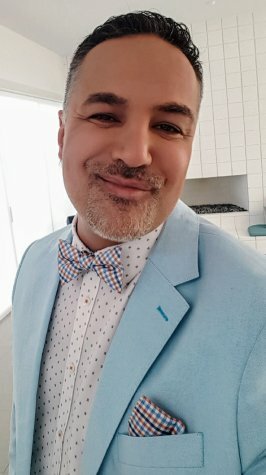 He has lived in Los Angeles for over 20 years and specializes in the most prominent and exclusive neighborhoods in all of Los Angeles including the Hollywood Hills, Beverly Hills, Hancock Park, Beverly-Grove, Bel-Air, Brentwood and the entire Westside LA. Frank originally received his real estate license in 1993 and started his career at the prestigious Fred Sands Beverly Hills Estates office. He has been with Keller Williams Realty for over 5 years because he believes in the company’s visionary approach to selling real estate, and it’s rapid expansion of offices around the United States. Buying or selling real estate is one of the most important financial decisions you will ever make. Frank will implement his 20+ years of sales and marketing experience to assure you get the personalized attention and expertise you deserve. Savvy in business yet maintaining a creative edge, Frank can blend the best of both worlds to encompass all areas of your real estate transaction. The Frank Bruno Team consists of a support staff that include escrow officers, transaction coordinators, title reps, loan officers, property inspectors, stagers, and trades-people of anything imaginable. Our team has an impeccable reputation and offers the best real estate service in the industry. Frank also realizes that the process of real estate transactions can be extremely stressful. A graduate from UCLA with a Bachelor’s of Arts degree in Psychology, Frank will do his best to make sure each transaction is as smooth as possible from a mental standpoint as well. Understanding human behavior and the psychology behind people’s actions gives Frank an edge that places him ahead of most others in the business world. Frank Bruno and his team are the dedicated, experienced, and qualified real estate professionals you desire. Their goal is to efficiently assist you through the entire process of selling or purchasing your home, while getting you the best possible value. We believe in customer service and have the knowledge on how to navigate a difficult and complex real estate market. Frank Bruno has been recognized numerous times as being one of the ‘Top 5’ real estate agents nationwide at Keller Williams Realty out of 85,000 agents. He has been seen on various real estate TV programs including NBC’s “Open House LA”, VH1’s “Really Rich Real Estate”, Bravo’s “Million Dollar Listing”, and the “CBS Evening News”. He instructs classes locally and nationally to real estate professionals, and is a consultant to the MLS in which he has help change the face of how real estate agents conduct business in Los Angeles. Please call The Frank Bruno Team and we would be happy to service all of your real estate needs!